If you want a company to run in the best conditions, there are multiple variables that you have to manage. You have to notice the most performing workers as well as those who would need more attention or training. It’s important to acquire new resources in order to develop, as well as separate from the people or resources when they’re not adequate to the goals anymore. All of this require a thoroughful analysis. Today, we’ll do an analogy between a company and yourself, in order to think about how you manage your personal goals. We’ll imagine that you’re a business and that your goal isn’t profit or the development of new products, but your happiness, your personal and professional development, etc. 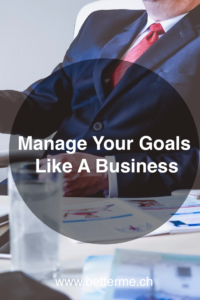 You’re in the position of the Human Resources Director and you’ll have to perform a detailed analysis of your « company » in order to find your goals and the resources to acquire, in 4 steps. The first step of the analysis is the definition of your goals. What is the purpose of your « company » ? Is it to increase your happiness, get a new job, travel around the world or find love? Define between one and three goals before going to the next step. Let’s take for example that you’d like to get a new job. No matter what you did, you already have numerous « employees » that have been more or less efficient or useful in the past. Stop for a few minutes to think about who are your best « employees ». You’ll have to highlight your resources and skills related to your goal. Let’s say that for getting your ideal job, you already possess many skills: you’re at ease in social interactions, have technical skills, experiences in project management, etc. Write down your main abilities in order to know who you’ll keep in your « team ». In your team, you probably have useful « employees » that would need to level up with some additional training. They represent loyal employees that only need to update their skills and knowledge. Define which one of your employees need a little refresh. This could be for example your computer knowledge, in technical processes, or in communication techniques. Once you identified those « employees », you can decide what kind of training they need to follow in order to be updated. You now have a team formed by employees who give perfect satisfaction and others that you prepared for additional training. Your goal is to get a new job, and for that you’ll maybe need to hire new external resources with whom you’ve never « worked » before. Ask yourself what kind of skills you need to acquire that you never had in your « team ». You’ll maybe need to learn a new language, accounting or management skills. Once you identified the required « collaborators », become a « head hunter » and find the « workers » that you need. In order to find them, you’ll maybe decide to register to a new course, find a mentor or get some books to learn by yourself. You now have a team formed by old loyal employees, some of them in whom you invested to develop their skills as well as new workers bringing fresh resources. Congratulations! The last step in order to have a team capable of reaching your goal is to analyse who are the « employees » that prevent you from reaching your goal. Who are the « members » of your team that prevented you from going forward until now? Be honest with yourself and identify them precisely. This will maybe be a lack of confidence in your abilities, inadequate communication skills with your colleagues, a pessimistic mindset or the fact that you don’t act according to your values. Once you identified these obstacles, fire them in order to keep a healthy « team ». You got it, you are your own « company » and it’s very important to pay attention to the quality of your « team » if you don’t want to go « bankrupt ». Think as a HRD by analyzing what are the skills and resources that you already possess, those that you need to develop or maintain, the ones that you’ll have to acquire and finally, identify the negative aspects and « flaws » from which you need to separate yourself. You want to be updated on my articles and other activities? Join my newsletter or my Facebook page! If you want to book a coaching in order to set your goals and find useful strategies and solutions to reach them, contact me directly through this form. Julien , great analogy the thing that has me thinking is I would like my success and abundance to be flowing on auto-drive like a business with minimal boss interaction just delegate. Great for sharing this knowledge.